The Muppets will arrive on Sky 1 this autumn as part of a major new investment in comedy and drama. It follows an announcement by Sky earlier this year that the channel would be "supersized" with home-grown shows. Increasing numbers of traditionally non-pay TV homes can now access Sky 1 and other Sky channels via Now TV, so Sky 1 is an increasingly important sales tool to get more viewers signed up for the service. 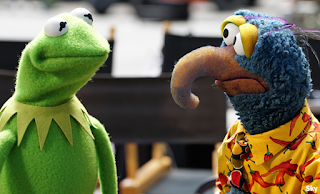 In The Muppets, for the first time ever, cameras will document the ups and downs of their day-to-day lives as they prepare to reunite for a new TV series in the new mockumentary-style show from writers Bill Prady (The Big Bang Theory) and Bob Kushell (Anger Management). Other new shows arriving on Sky 1 include the globe-trotting end-of-the-world series You, Me & The Apocalypse, and brand new comedy After Hours, directed by Craig Cash. Karl Pilkington is back with a new series of The Moaning of Life. Comedy series Trollied and Stella will also return with new episodes. Following the success of the 2014 one-off, Ashley Jensen will return as Agatha Raisin, with eight new mysteries for the savvy sleuth – based on the bestselling novels of MC Beaton. Acclaimed international best-selling thriller writer Harlan Coben has created his first-ever original story for television with The Five. A taut mystery about the consequences of a terrible childhood incident for a group of friends, the cast includes Tom Cullen, O-T Fagbenle, Lee Ingleby and Sarah Solemani. Comic-book legend Stan Lee has co-created his first UK television drama, alongside acclaimed writer Neil Biswas. Called Lucky Man, it stars James Nesbitt as a down-on-his-luck Murder Squad officer whose fortune mysteriously changes, and it will come to screens in 2016. Fungus the Bogeyman will return at Christmas in a new four-part drama starring Timothy Spall.